Will Trump shut down the government for the second time? After the longest government shutdown in US history, a new shot-down seems to be looming due disagreements between Democrats and Republicans over immigration enforcement. "The talks are stalled right now," Republican Senator Richard Shelby told the Fox News Sunday TV programme, adding that he hoped negotiators would return to the table soon. 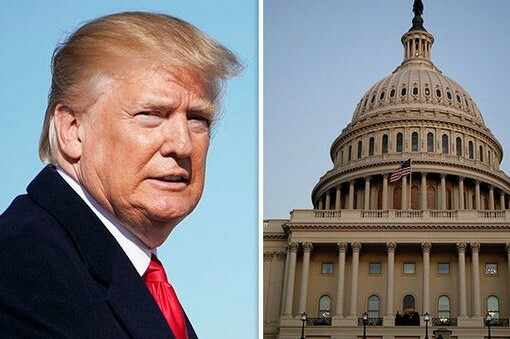 The group of 17 congressional lawmakers are hoping to reach a deal to allow time for the legislation to pass the US House of Representatives and Senate and get to President Donald Trump by Friday, when federal funding is due to expire. One of the main stumbling blocks this time is the Democrats' demand for funding fewer detention beds for people detained by US Immigration and Customs Enforcement (ICE) than the Trump administration seeks. Republicans want to increase the number as part of their drive to speed immigrant deportations. "You absolutely cannot," Mulvaney, who is also Trump's acting chief of staff, told NBC's Meet the Press on Sunday. "Is a shutdown entirely off the table? The answer is no."